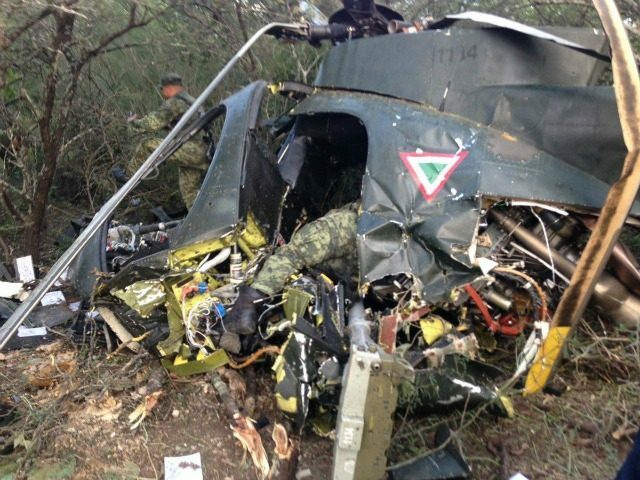 CIUDAD VICTORIA, Tamaulipas — A Mexican military helicopter has crashed in this border state killing two lieutenants and injuring a passenger. It remains unclear if the helicopter was shot down, however sources point to it having been attacked prior to the crash. The helicopter crashed Monday afternoon two hours after taking off from Ciudad Victoria on a reconnaissance mission, information provided to Breitbart Texas by the Mexican military revealed. While Mexican authorities have not confirmed a cause for the crash, they confirmed that they lost control with the helicopter two hours after take-off. After the crash, one of the injured officers by the name of Lieutenant David Puente called the Tamaulipas police communication center known as C-4. Puente said he could not recall much about the crash but relayed their location. A Mexican Federal Police helicopter rushed to the scene to help take the injured military personnel to a local hospital in Ciudad Victoria. 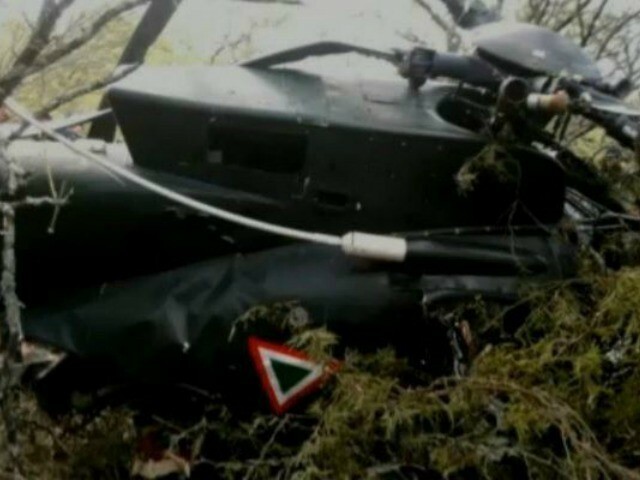 The helicopter crash in Tamaulipas comes just a month after as Breitbart Texas previously reported, cartel gunmen with the Knights Templar cartel shot down a helicopter in the Mexican State of Michoacán. In that case, cartel gunmen used a Barrett .50 caliber rifle to shoot down the aircraft killing the pilot and two state police officers while injuring another. Editor’s Note: Breitbart Texas traveled to the Mexican States of Tamaulipas, Coahuila and Nuevo León to recruit citizen journalists willing to risk their lives and expose the cartels silencing their communities. The writers would face certain death at the hands of the various cartels that operate in those areas including the Gulf Cartel and Los Zetas if a pseudonym were not used. Breitbart Texas’ Cartel Chronicles are published in both English and in their original Spanish. This article was written by “M.A Navarro” from Ciudad Victoria, Tamaulipas.